Targeting Specific Muscle Groups: A Comprehensive List Of The Best Exercises! Trying to target that specific trouble area? This article is for! A complete resource for finding out the best exercises for specific muscles! Your complete resource for finding out the best exercises for specific muscles. I&apos;m always getting asked by people, "what exercise works this area" or "what can I do for this" or "what works best for this part of the muscle". Inherently everyone from the couch potato to the professional bodybuilder has at least one area of their body that they want to target or improve upon. Even if perhaps you were content with your aesthetics and physical proportions - wouldn&apos;t it be nice, or even educational, to know specifically what muscles are being emphasized with certain exercises or what exercises are better suited to target a specific muscle or muscle group? Even qualified personal trainers sometimes have a tough time remembering all of this information. To me (and apparently many others I&apos;ve talked to) it&apos;s a no-brainer to imagine just how useful and invaluable it would be to have all of this scientifically based information in one easily printable and readable source. And best of all, courtesy of Bodybuilding.com and myself it&apos;s free! There was a demand for this article from colleagues and gym members alike even before I finished it. And hopefully you&apos;ll find it very useful as well! From my research efforts, I&apos;ve unfortunately realized that this type of information is not only scattered all over the place, but depending on what sources you seek, the information may be contraindicative. So I&apos;ve decided once and for all to compile a painstakingly comprehensive list of exercises that work best for specific muscle groups, individual muscles or specific areas of individual muscles. With more than 600 muscles found in the human body, it is safe to say that only the major ones are covered in this edition. 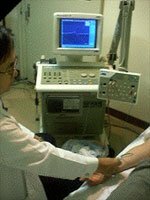 This information has been compiled from various kinesiology and exercise physiology textbooks as well as other credible materials whose results are based on EMG (electromyography) activity research. At least one study indicated that the muscle fibers of the rectus femoris were substantially stronger and more facilitated with the torso in a 90 degree angle to the thighs for the leg extension machine, which contradicts the theory that the rectus femoris should be strongest when it is placed in a stretched position. The researches concluded that there was an unknown mechanism at work here. So I have listed the leg extension at a 90 degree angle as the best way to isolate the rectus femoris. Feel free to contact me if you feel there are other muscles that are important enough to include in this list. It is important to note that spot reduction or losing fat in only one area of your body is impossible - these exercises are meant to target specific muscles not fat at specific areas. It is also important to keep in mind that it is impossible to contract only one portion of a muscle - a muscle contracts entirely. But, priority or greater amount of involvement can happen to specific muscle fibers of the muscle. For example; during the incline bench press the pectoralis major (the main chest muscle) contracts entirely, but because you are on an incline the force from the weight is not distributed evenly across the chest and therefore the fibers of the upper "pec" are working hardest. Therefore, this exercise is performed in order to prioritize and build the upper portion of the chest. Strength Training Anatomy by Frederic Delavier & Women&apos;s Strength Training Anatomy by Frederic Delavier (both published by Human Kinetics) are two excellent resources that I highly recommend to anyone involved in resistance training or thinking about beginning. The beautiful illustrations and explanations of various exercises are easy enough for any beginner to understand yet in depth enough to educate seasoned athletes. At least three individuals that I&apos;ve introduced these books to like them so much that they bring them to the gym with them every day. Both of these books can be found at major bookstores or at www.humankinetics.com. I love squats, I always have. There&apos;s nothing like the feeling of a heavy bar on your back as you go up and down, your quads feeling like they&apos;re about to rip right off! Not to mention the effect they have on natural hormone levels. Welcome to killer leg training! Long before I became involved as a working fitness model, I longed for a statuesque physique with little or no glutes, so that I can strut my ?stuff? on the catwalks of Milan, Italy. I will share my secret to the journey on having great glutes. Back To The Basics: Back Training! What exercises work for building a thick and powerful back? With exercise pictures and printable logs! We are going to attack the chest today with a chest training routine that I feel is as close to the best overall routine known to man for mass, shape and condition. After all we are in pursuit of the total package. There&apos;s nothing quite like wide, cannonball delts. What a visual impact they make! My eyes are always drawn to great shoulder development pretty much before anything else. Build your own! Size Matters: Bust Out Of Those Sleeves! Almost everybody finds it difficult to arrange time to train. That is why in this article I have listed six ways to get more out of each day. In addition to training, reading this article will help you in your daily chores too.